Sonia Delaunay Terk was a Ukrainian painter. After her artistic training in St. Petersburg, she moved to Paris in 1906 and began to paint under the influence of Van Gogh and Gauguin. After marrying the Cubist artist Robert Delaunay, she began a special research on colour and light. 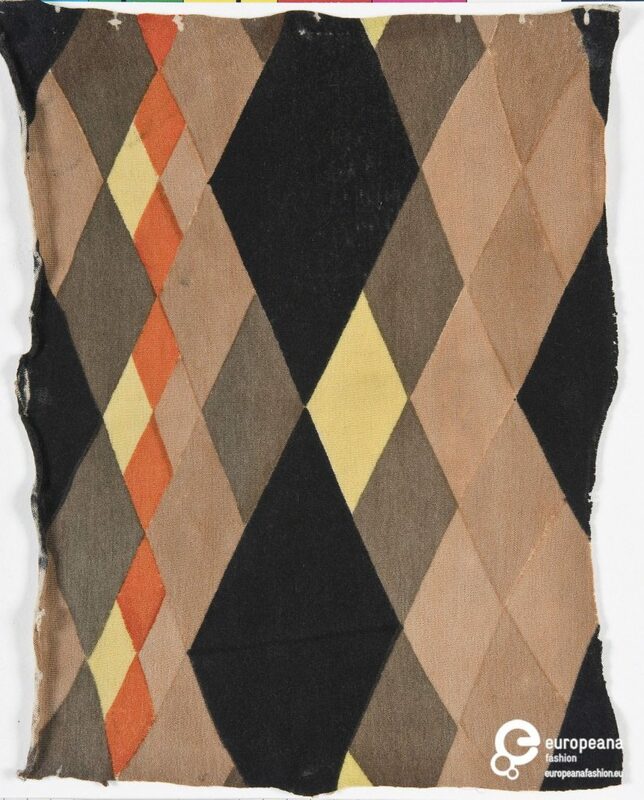 Already since 1911 Sonia applied studies of the Orphic Cubism she developed with her husband and other artists in many fields, such as graphic design, decoration, furniture and fashion. In 1911 she produced the first artifact coming from these reflections: a bedspread made with the technique of patchwork formed by pieces of cloth of geometric shapes and different colours sewn together. 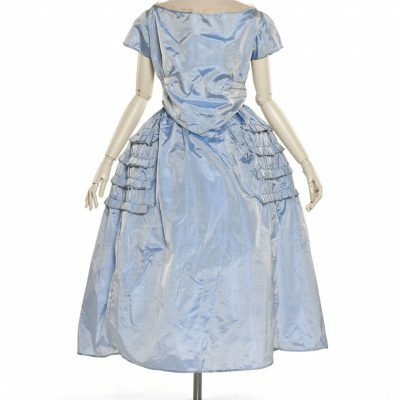 In her atelier, called ‘simultaneous workshop’, her first fashion pieces were sewn, and called, precisely, ‘simoultaneous’. The structure of these clothes is visually decomposed by pure colours in waves, triangles, zig-zag lines, concentric circles, rectangles or rhombs. The colours were at most five or six, always in contrast: night blue, cherry red, black, white, yellow or green. Delaunay’s work transformed the wardrobe of the twentieth century garçonne transferring it into avant-garde art, with tunic-dresses with clean lines representing the ideal “canvas” for many experimentations. In 1913 Sonia created one of the most important clothes of his career, the iconic Robe simultanée, which contains all her reflections. A dress made with the technique of patchwork, alternating different fabrics such as velvet and silk, with primary and secondary colours intersected with each other thus creating a movement effect of the fabric. The upper part of the dress is divided in half and the design created by the fabrics and colors seems to represent an abstract cubist painting. The cuts of the fabric flow perfectly on the lines of the body, highlighting the shape of the body. Sonia also wrote a book in 1927, entitled “The influence of painting” on fashion, where she explained the importance of both disciplines, exposing the results of her research on colour and light. 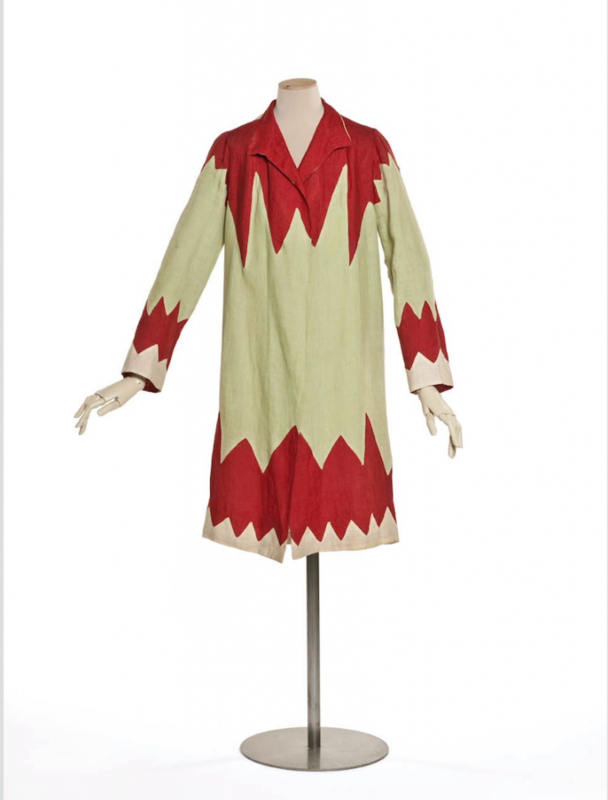 Sonia Delaunay not only created dresses, but also textiles for fashion and furnishing. Art was always the starting point for her, though. Her vivid abstract paintings decorate the fabrics and her unstructured clothes. 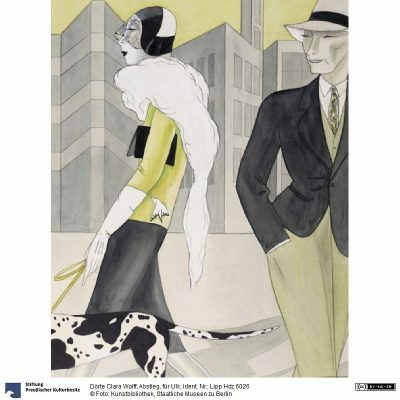 These creations opened a particularly innovative line that will be developed in the fashion of the ’20s and’ 30s, but on which fashion will return later, as for instance in the ’60s. 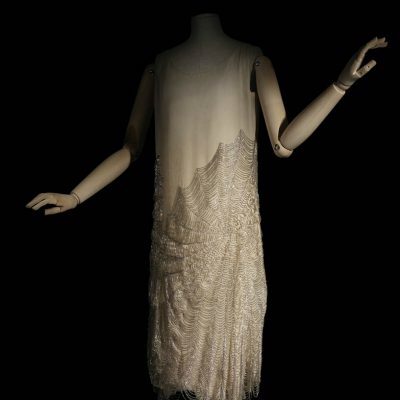 EFHA Focus: Dress by Coco Chanel, 1924 ca.